O’Connor took the role as Vice President/Track Director while Sinchak became the President/Track Director and along with Track Operator, Charlie Ellis they started to rebuild Chesapeake BMX. They discovered an Olympic Training track in Manchester, England that they decided to model the track after. Spending countless hours after work and numerous weekends the track started to take shape. Over the past 5 years they have put down new dirt, reshaped and built new jumps and turns, built new storage and registration buildings, began to use an environmentally safe dirt coating, started hand grooming and steam rolling the jumps. 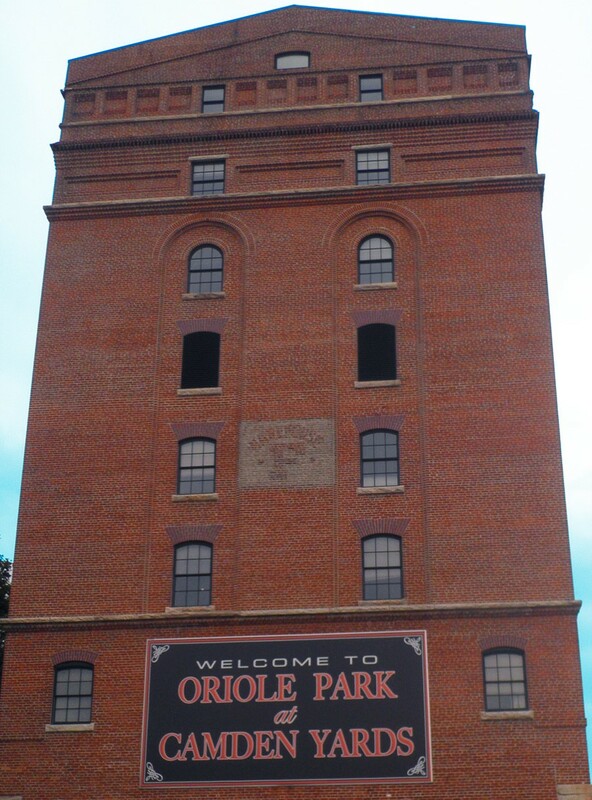 Numerous people have commented to O’Connor, “the tack is unrecognizable,” from where it was 5 years ago. Steamrolling jumps is something that is unique to this track and is not done at most other tracks. This dedication, hard work, innovation and lots of great volunteers are what led to Chesapeake BMX hosting the USA BMX East Coast Nationals at its track for the second straight year and being ranked the #2 track on the East Coast. 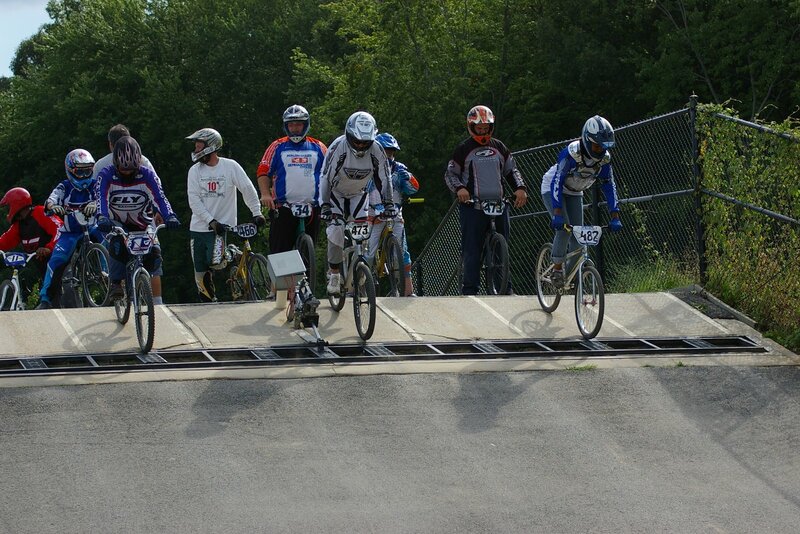 The USA BMX East Coast Nationals is a national event that draws in riders from all over the country. It is one of the biggest races of the summer and brings a lot of competition. 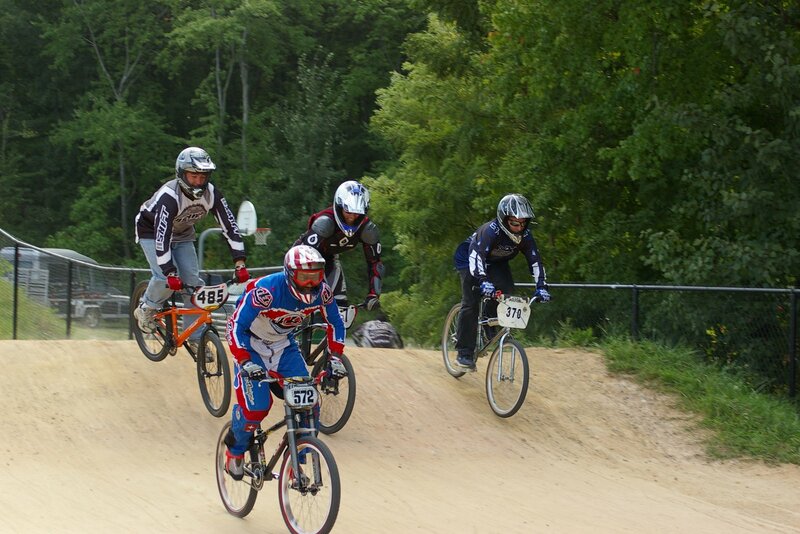 Ideally the USA BMX East Coast Nationals will continue to be held at Chesapeake BMX. O’Connor doesn’t see why not. Being 3 miles from BWI you can “ride your bike from the airport to the track,” says O’Connor. There are only 1 or 2 other tracks that are that close to an airport. Combine that with the tons of parking and the location of the track it seems like a no brainer. “A lot of tracks are in the middle of nowhere,” states O’Connor, “but here you can come spend a week checking out the Inner Harbor and Annapolis then race on the weekend.” In the summer there is a ton to do in Maryland and being able to enjoy the area instead of being stuck in the middle of nowhere is a huge point of differentiation for Chesapeake BMX. Maryland is a great state and being able to enjoy all it has to offer while still being able to race is a huge plus. The 2008 Summer Olympics in Beijing was the first time BMX was featured as an event. Since then the popularity of the sport has improved immensely. There are more kids that want to race and a better system for kids to improve their skills. Young riders see this as their way to become an Olympian and work hard in order to achieve that goal. The big change that is occurring is in the development of riders. There are three skill levels for riders: Novice, Intermediate and Expert. The problem that O’Connor noticed was what happened when you had a 12 year old in the Expert division? There is no step up in competition for him/her. This is what adding BMX to the Olympics will mean. Not only will you get more people interested in the sport but you can further develop the skills of current riders. Once they are winning all of the Expert heats they can move on to tougher competition in the way of Olympic Training. O’Connor is even hoping that Chesapeake BMX can be the site of a future Olympic Training Center. Chesapeake BMX will be hosting an Olympic Day event at the end of June where there will be at least one Olympian and opportunities for people to experience BMX for the first time. 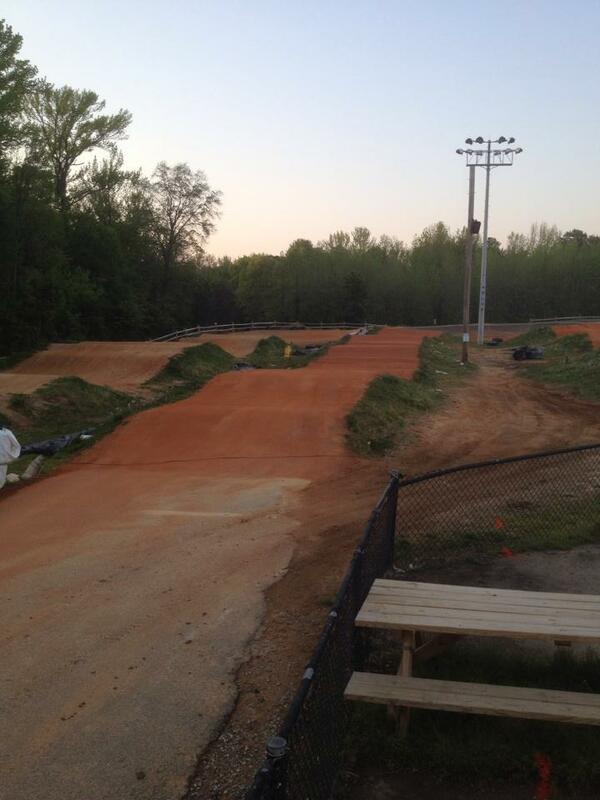 Chesapeake BMX is a non-profit track. This means that all the profit from the track goes right back into it to make sure it is up to date and a top notch facility. O’Connor, Sinchak and Ellis all volunteer their time and have other jobs. They work so hard to make sure that people who want to race can race and their hard work is paying off. When they first bought the track a great race day was about 14 motos, or races, and about 80 riders. Now on an average day they have 26 motos and between 140-145 racers. This is an incredible jump from where they started. They are constantly upgrading the track to make it look more professional and more user and spectator friendly. 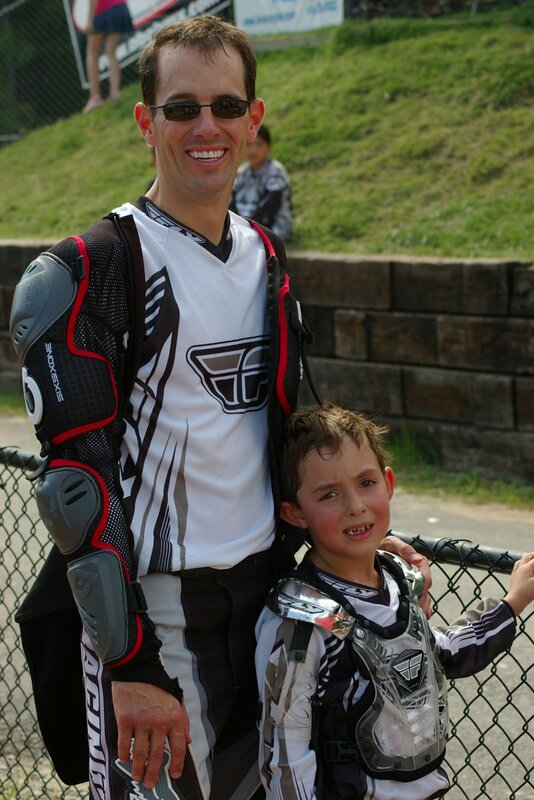 In the end O’Connor just wanted a fun, respectable track for his son to use and now he does. If you want to volunteer at the track or want to learn more info about the East Coast Nationals, Olympic Day or BMX make sure to check out Chesapeake BMX’s website.